I am sorry to hear of Spaz’s death. Sounds like he lived a happy (albeit short) and enriched life filled with swimming and cannibalism. 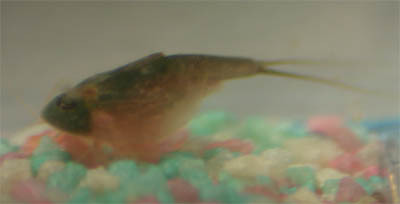 What is the triops’ future? Dead in a test tube. 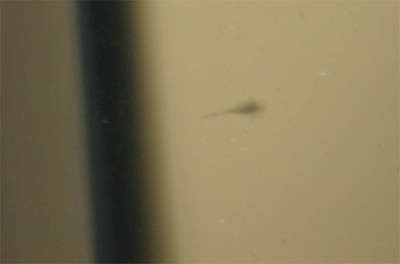 The instructions make it sound like the triops are very sensitive to water chemistry and temperature. They apparently can not live under conditions that are typical to most people’s freshwater fish tanks. My own attempts failed; nothing hatched. I bought the kit from some random seller on Amazon.com, so maybe that was part of the problem. I’ve submitted the warranty claim to the manufacturer and should receive replacement eggs soon. Good luck with your second run! Very cool. You should do more of this. With video. 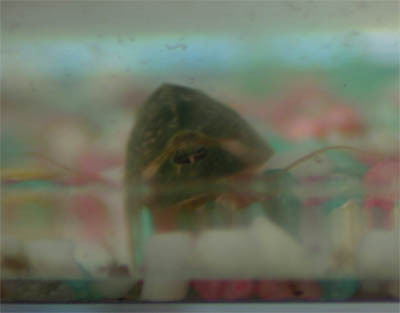 I have triops, but i lost mt nutrients pack. Whatcan i use instead? best website, covers what they eat and everything else. I had a similar problem, I fed mine egg yolk after i removed the teabag due to not trusting it, I fed egg yolk since I was also feeding it to my fry instead of infusoria. Loved it for the first two days. But I think I might have overfed and that started water quality issues. Or the egg yolk was bad because most of my fry died that same day. 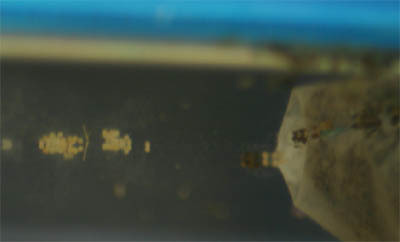 Or, if that wasn’t it, the teabag that came with the kit at first definitely gave infusoria, i could see tiny things swimming around, but then a big fuzzy growth happened. 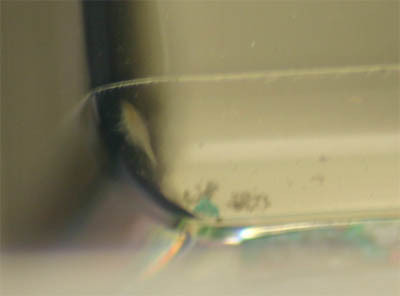 Wasn’t sure if it was some type of infusoria or bacteria but I had to keep rescuing the triops because it kept swimming deeper and deeper into the tangles until it couldn’t move. Seemed to be eating it so not sure what it was. I ended up removing the tea bag as I kept having to rescue him and it was making me anxious. But that same stuff was stuck to his tail when I found he’d died at 7 days old. About to start another batch, definitely going to watch how much i feed this time. Good luck with your next batch!